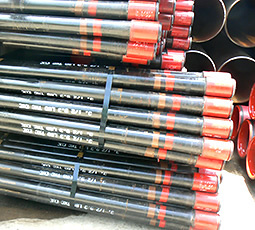 Petroleum Pipe supplies all standard API connections and most widely-used metal-to-metal seal premium connections including threaded-and-coupled, semi-flush and full-flush types. A) Seamless and EW casing in diameters up to 20" (508mm). In range 1, 2 or 3 lengths. 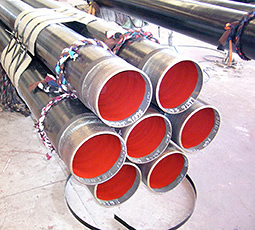 Casing can be provided either ex-mill or from stock in all the normal API 5CT specifications and also special grades for deep well or sour service with high collapse properties. Speciality chrome and high performance grades are also available both from stock and ex-mill. B) Seamless and EW tubing in all normal API sizes, grades and lengths ranges, range 1, 2 and 3. Available in a full range of carbon and chrome steels, both API and proprietory grades. 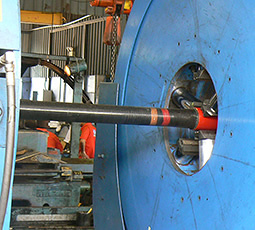 We offer the 'standard' API range of round thread (STC and LTC) and Buttress Thread casing and API NUE and EUE tubing. Grades stocked include J/K55, N/L80, R/T95, P110, Q125 and V150. Our range of steel grades with premium connections includes 13Cr tubulars for use in sweet corrosion environments. 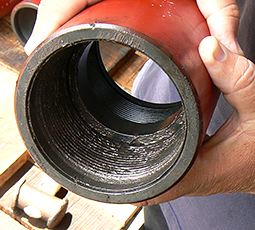 EW/SAW Conductor pipe in diameters from 20" (508MM) up to 36" (914.4MM). Conductor pipe can be supplied ex mill or from stock to meet all the normal API 5L specifications. Material can be supplied as plain end or with premium quick connectors. We supply TKC threaded and coupled tubing for production environments where performance superior to EUE tubing is required, but where premium joint tuibulars may not be justified. 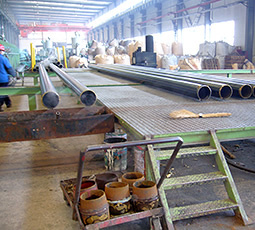 We supply project quantities of linepipe ex mill including externally polyethylene, polypropylene or fusion bonded epoxy coated and/or lined linepipe. Security bundling of plastic coated linepipe to protect the coating.